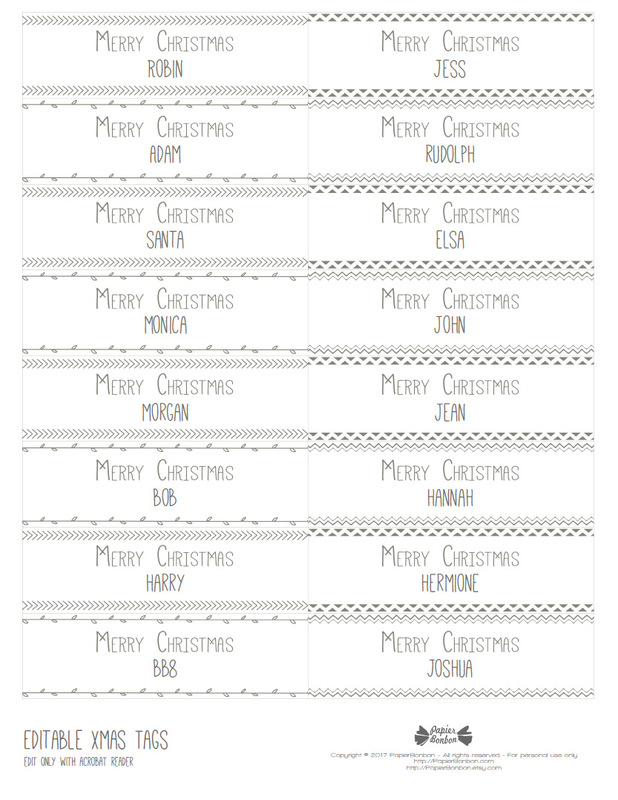 Let’s make beautiful wrapping for Christmas presents with this free printable: editable Christmas tags. I used the same simple patterns that ornate the tea lights holders I shared with you last week. I really like to keep things simple and therefore as pure as possible. 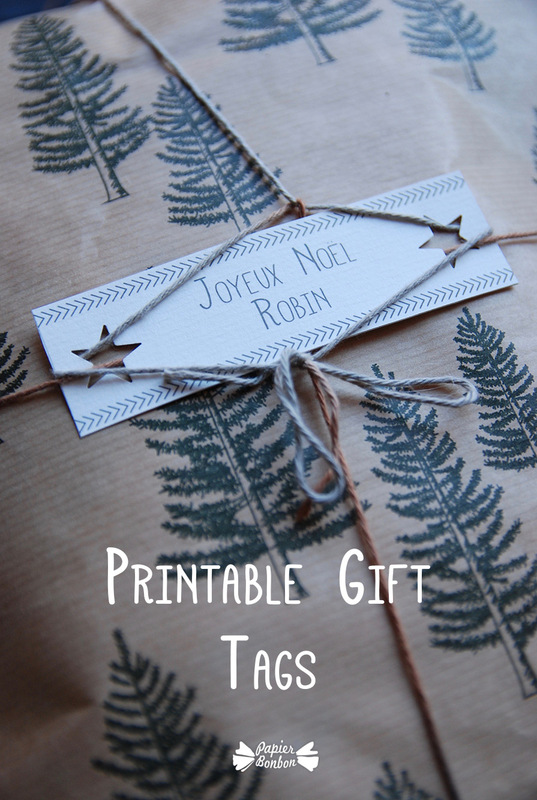 I printed them on a nice vellum paper, used my son’s puncher again (hush hush…) and fasten with a simple coton thread (with a 150 meter long ball, I might finish all my wrapping easily). 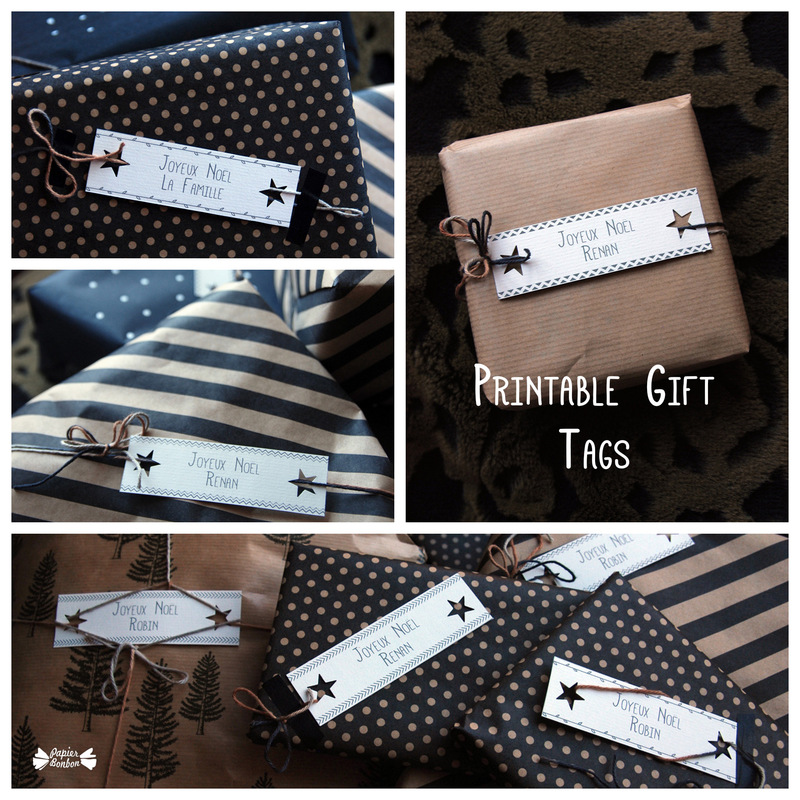 With kraft paper: simple & beautiful. I create an editable pdf for you to do so: Open the pdf file with Acrobat reader (it will properly work only with this software – download here: >>> http://get.adobe.com/reader/). Click on the purple “Highlight Fields” button: Areas that you can type in will be highlighted! (You can change the text. But you can not change the font or color) Review your file to be sure it is customized correctly. Save your changes and you are then ready to print.